The Common Core State Standards for Mathematics in Third Grade are Operations and Algebraic Thinking, Number and Operations in Base Ten, Number and Operations- Fractions, Measurement and Data, and Geometry. 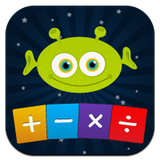 - Represent and solve problems involving multiplication and division. 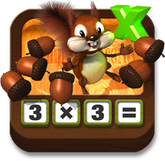 - Understand properties of multiplication and the relationship between multiplication and division. - Multiply and divide within 100. - Solve problems involving four operations, and identify and explain patterns in arithmetic. - Use place value understanding and properties of operations to perform multi-digit arithmetic. - Develop understanding of fractions as numbers. - Solve problems involving measurement and estimation of intervals of time, liquid volumes, and masses of objects. - Geometric measurement: understand concepts of area and relate area to multiplication and to addition. - Geometric measurement: recognize perimeter as an attribute of plane figures and distinguish between linear and area measures.